Below you can see examples of commissioned fine art, & illustrative work. Find prices and more commission information (including workshops) here. Contact me here for quotes and queries. A fine art commission for EMLab/Centre for Advanced Microscopy, based on SEM imaging of tree fern spores. It was made in situ for all residents to see it being made, and was created to hang in the building front lobby. 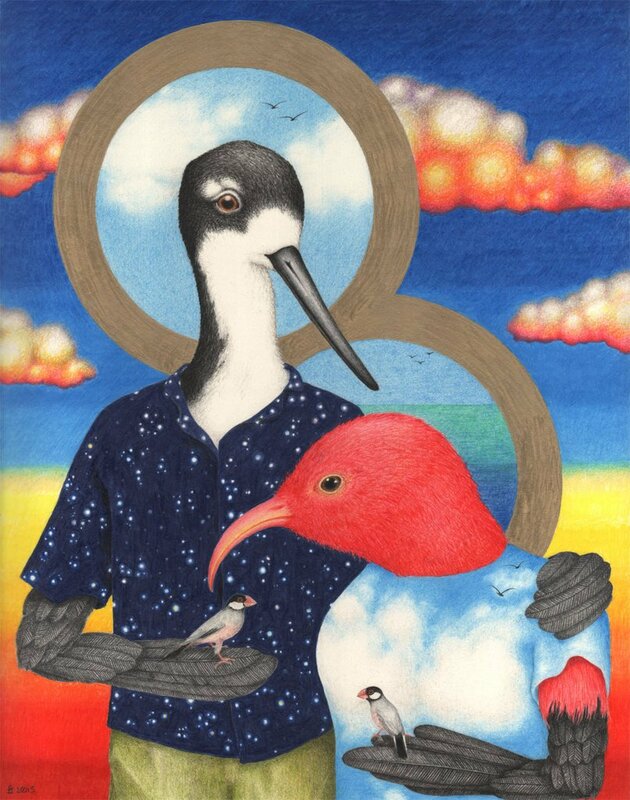 A portrait commission of two people depicted with the heads of Hawai’ian birds.